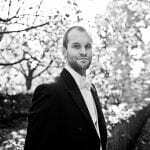 Ashley Riches makes his far-east debut with the Tokyo Symphony Orchestra as the Count in semi-staged performances of Mozart’s Le Nozze di Figaro, conducted by Jonathan Nott. 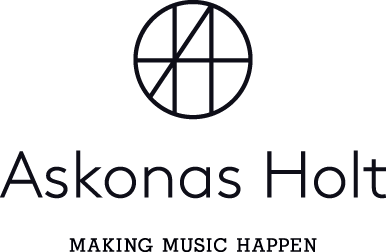 Askonas Holt artists Miah Persson and Lydia Teuscher sing the role of the Countess and Susana respectively. Ashley recently made his US debut with the Monteverdi Choir and Orchestra and will make his festival debut at Glyndebourne as Brander La Damnation de Faust in Summer 2019. Other future engagements include a tour of Purcell’s King Arthur with the Gabrieli Consort and Players, appearing at Festspielhaus Baden-Baden, Wiener Konzerthaus, Liszt Academy of Music Budapest and Melbourne Recital Centre, recitals with Joseph Middleton and Sholto Kynoch and Handel’s Messiah with the Royal Northern Sinfonia. 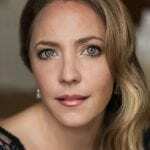 Miah returns to Tokyo after previously appearing as another Mozart/Da Ponte leading lady, Fiordiligi in Cosi Fan Tutte for the New National Theatre. Miah has had a busy season, having recently performed Mahler’s Fourth Symphony on tour in Spain with the Orchestre Philharmonique du Luxembourg, and with the Wiener Symphoniker under Edward Gardner. This month Miah also gave a series of concerts of Shepherd on the Rock with the New York Philharmonic. After Le Nozze, Miah will appear as the title role in Zaide for the Munchner Rundfunkorchester. Lydia returns to Japan for the third time this Autumn, having already appeared with the Yomiuri Nippon Symphony Orchestra and the Kanazawa Orchestra Ensemble for Mendelssohn Christus. She begins the New Year in Hong Kong with Jonathan Cohen and Arcangelo for Bach Mass in B Minor and goes on to have appearances with the National Arts Centre Orchestra Ottawa, Hamburg Philharmoniker, Les Violons du Roy and the Orchestra of St. Luke’s. For more information see the Tokyo Symphony website. The performance on 7 December will be at Muza Kawasaki Symphony Hall and on 9 December will be at Suntory Hall.